Beware! OCM Markets is an offshore broker! Your investment may be at risk. 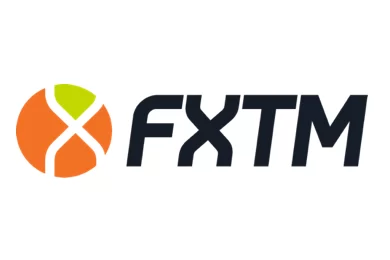 OMC Markets is a Montenegro-based МТ4 forex brokerage with a decent range of trading products. 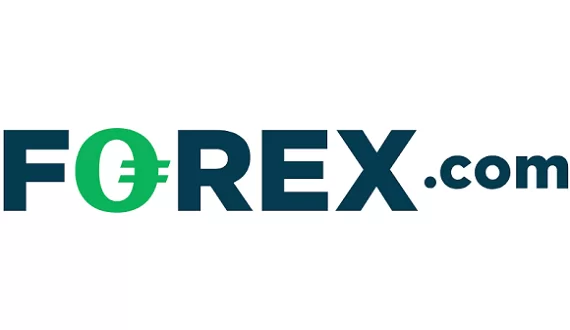 It provides its clients with a wide range of payment methods, including a number of cryptos and has a spread of 3.3 pips on EUR/USD. The spread is way above the industry average of 1.5 pips. OMC Markets states on its website that it’s owned and operated by the company Eventuall Limited with a registered address at Bulevar Dzordza Vasingtona №108, A16 Podgorica, Montenegro 81000. There is no mention of a regulatory status on the brokers website and this isn’t very surprising since Montenegro is not a member of the EU, nor is it known for it’s tough regulation on forex trading. All this compels us to state that potential clients of the brokerage may be exposed to a number of risks. Regulatory bodies such as the ASIC or CySec force a broker to comply with a number of strict rules that lower the risk of fraud and give assurance for the safety of the clients funds. One such rule is the segregation of accounts which forces the brokerage to handle the finances of the clients separately from their own and greatly lowers the risk of commingling. Another is a requirement for a starting capital of €730 000 which weeds out scammers. As was mentioned above, potential clients of the brokerage have a wide range of payment methods from which to choose. They may deposit or withdraw via Visa, Mastercard, Maestro, Bitcoin, American Express, Cirrus, WorldPay, PayPal, Sage and wire transfer. In the Terms and Conditions we find a minimum withdrawal amount of $100. We could not find any other fees or nasty withdrawal conditions in the brokers terms, but traders should always take notice of the all the ways a trader may test the brokerage’s intentions. Firstly, traders are advised to always put up only the required minimum deposit, instead of risking a bigger amount with no certainty. Afterwards, they may also try to withdraw a small amount in order to check for any unexpected fees or delays. Such fees and delays are usually the signs of a scammer. By clicking on an ad with promises for fast money you will be redirected to a nice-looking website such as BitcoinMethod or Bitcoin Revolution with a high-budget trailer. The video will convince you to register and give away your address, phone number and email. Minutes later your personal data will be sent to a number of brokers who’ll begin calling you with trading offers. After a few minutes on the phone with them you decide to deposit $200-250. And as effortlessly as that – the broker gets a commission of $50 from your initial deposit. Unfortunately, closing the account is never easy and straight-forward. The “recovery department” – fancy name for the next-in-line scammers – will take you and yet another representative will have some other trading opportunities to share with you. His game is pretty simple – he has to mislead you into waiting six months or more so that you may not file a chargeback with your bank and get your money back. That possibility forever closes when six months pass after the initial deposit with the broker. A scam could happen to anyone, including you, and, in such a case, it would be best to know what options are still available to you. Scammed traders should take notice not to trust any so-called “recovery agencies”! Such agencies prey on vulnerable traders with talk of recovering their money in exchange for an “up-front payment”. After receiving the payment, the trader won’t hear from them again. OMC markets is a scam.I found every evidence,or signs of their con game. Hi Frankie, you make we worry, can you please share some of your evidence, I have money with OMC Markets and do not want to loose it all? I didn’t want to either , but have now. Thank you for your warning on OMC markets I was just about to invest with them and then I thought I better see if there was any reviews. Thanks for all the reviews, It makes me just escape from this Scam. Thiefs. You cannot get your money back. Once you make the withdrawal they don’t answer. I have sent tons of messages to the account manager, the support, the compliance department. They only reply with automatic messages saying “we are aware of your request” or “our team is processing your request” but that is all. Even if they call you( because they will insist on calling you) and they assure you that everything is fine and you will get your money soon, that is not true. This on top of every other problem as huge spreads, constant errors on the platform signing different prices just to make you lose money, awful communication etc. I have also been caught by omcmarkets! But I am more lost than you! I also do not know what I can do, I can not even access my account! Ik heb me ook laten vangen door omcmarkets! Maar ik ben wel wat meer verloren dan jou! Ik weet ook niet meer wat ik kan doen, ik kan zelfs niet meer op mijn account ! Tell them to give you an example of getting money from your Investment. I my case they sendet 100 Euro back, so you’ll loose max. 150 € going out. Please, someone must help me. I can’t believe what I read here and now I an livid with worry. I invested $10 000 with OMC after building up a personal relationship with a Senior Account Manager named Dennis Black. He is such a nice guy and I never thought he could be a scammer. I have to get him to return my funds. But how? Should I get their address and go to London to confront him? I’m in South Africa. Dennis Black also caught me with 10 000 dollars. He have a new thing now. You have to pay UK tax at 19% payable to OMC Markets. When you want to do a withdrawel then he come with a different kind of fees to pay. Please he is a Scammmer. It is six months now and I can not do a withdrawel. He is money crazy. Always looking for money to scam you. Dennis Black play honest Joe now. Do not trust him. His latest excuse is now that you must pay tax of 19% to the UK government before you can do a withdrawel. How you gonna pay the money over. I don’t know. This is address that he gave me, 30St, Mary Axe, Londen , United Kingdom. He is a skollie, always looking for money to pay in their account. All the excuses to release money. Their website is not real. I am also in South Africa. Bij mij hetzelfde ik had 18000€ op mijn account ! Heb al 2 keer kosten betaald om het terug te krijgen 2 bedragen van in totaal 3500€ en de dag erna kwamen ze weer af om 2799€ te betalen zogezegd de commissie voor het werk dat ze gedaan hadden . Ik heb niets meer betaald maar ze blijven maar bellen en kan ik kan ook al bijna 2 maanden niet meer op mijn account! With me the same I had 18000 € on my account! Have already paid 2 times costs to get it back 2 amounts totaling 3500 € and the next day they came back to pay 2799 € so to speak the commission for the work they had done. I have not paid anything anymore but they keep calling and I can no longer on my account for almost 2 months!